Ladies: are you taking advantage of cervical screening? Cervical cancer is globally the second most frequently occurring malignancy in women, with 400,000 new cases and 250,000 deaths each year. Cervical screening, which aims to detect pre-malignant cervical lesions known as cervical intraepithelial neoplasia (CIN), involves sampling cervical epithelial cells via the Papanicolaou smear test or liquid-based cytology. In England, the National Health Service Cervical Screening Programme (NHSCSP) was set up in 1988 and currently all women between the ages of 25 and 64 years are eligible to undergo screening. Despite the widespread availability, are all women taking advantage of cervical screening? What separates women who choose to participate in screening from those who don’t? In order to identify the sociodemographic, socioeconomic and practice factors associated with cervical screening coverage in England, we conducted a national cross-sectional study using data on 26,497,476 women registered with 7,970 general practices in 152 Primary Care Trusts (PCT). PCTs are NHS organizations that encompass a group of general practices and fund practices located within specific geographical regions. In our study, cervical screening coverage was found to be significantly negatively associated with socioeconomic deprivation, percentage of female patients aged 25 – 49 years and percentage of ethnic minority patients at both practice and PCT levels. Additionally at practice level only, cervical screening coverage was significantly positively associated with the percentage of female patients aged 50 – 64 years, the overall Quality and Outcomes Framework score and the records and information score. The latter two factors were included in the study as a reflection of the organizational capacity of the practices. The lower uptake of cervical screening among non-Caucasian women has previously been reported and one proposed reason for this is that non-Caucasian women may be less knowledgeable about cervical screening than Caucasian women. Furthermore, in younger women, work and household commitments are frequently given as the reasons for not participating in cervical screening. However, the association between lower cervical screening uptake and younger women may also exist in part due to the effect of list inflation. This phenomenon is seen in young women living in large urban areas and occurs when the number of women registered with a practice is larger than those actually living in that area, which then results in an underestimation of the screening uptake. Finally, our study confirmed the association between socioeconomic deprivation and lower cervical screening coverage, and the reason for this may again be related to the lack of knowledge regarding cervical screening among these groups of women. Although we identified the groups of women in which cervical screening coverage should be improved, increasing cervical screening uptake is certainly a challenging task and requires a joint effort from patients, medical professionals and policy makers. Furthermore, qualitative studies have shown that individual reasons for failing to attend cervical screening can be incredibly complex and hence the most successful interventions are likely to be those that improve accessibility to screening, as well as address individual concerns. Population and health system characteristics remain important influences on participation in preventive interventions such as cervical screening, even in England where health care is provided free of charge “at the point of delivery”. Therefore, in order to improve cervical screening coverage in England, strategies for increasing uptake, especially in the young, socioeconomically disadvantaged and ethnic minority women should be developed and implemented. coverage in England“, which has been made freely accessible for a limited time by the Journal of Public Health. 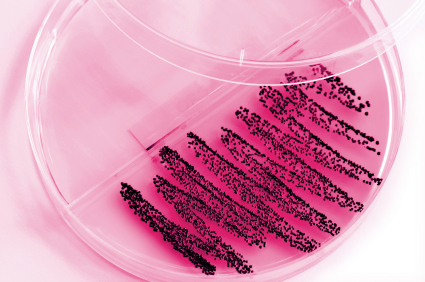 Why is there a picture of a microbiology culture plate in an article about cervical screening? Surely an image of a Liquid Based Cytology slide would be more appropriate?